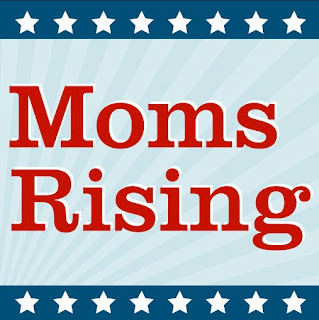 Ahead of Mother’s Day on Friday May 12th members of MomsRising & allied groups will gather at Trump International Hotel 1100 Pennsylvania Avenue NW in Washington, D.C. to deliver thousands of Statue of Liberty figures to President Donald Trump, U.S. Attorney General Jeff Sessions & every member of the U.S. Senate. Moms will be standing up for liberty & justice as they remind leaders that our diversity & people caring about each other are what has made our nation strong, innovative & prosperous; not the opposite. Yet right now the rights of immigrant families & Muslims are under direct attack as is our access to health care. These dangerous policy directions hurt our families, economy, communities & our children’s future. Speakers will include: Donna Norton, Executive Vice President, MomsRising, Rev. Jennifer Butler, CEO, Faith in Public Life, Jessie Hahn, Labor & Employment Policy Attorney, National Immigration Law Center, Manar Waheed, Legislative & Advocacy Counsel, American Civil Liberties Union, Fatima Goss Graves, President and CEO, National Women's Law Center, Carolina Rubio, MomsRising member & immigration lawyer & Shereen Abdelfattah, MomsRising member & North Carolina business owner. Following the march, moms will remind leaders that it’s time to raise the torch for liberty, justice & freedom; not extinguish our light. We've come a long way as a nation together & we’re not turning our backs on each other, or on the American dream, now.